Scavenge excess ammonia to reduce fatigue. Prolong endurance, even in "ultra" workouts or races. Increase glycogen availability for energy production. Thoroughly tested over several years in the most extreme athletic endurance events, Anti-Fatigue Caps helps remove fatigue-causing, performance-robbing ammonia. During extended endurance exercise the body accumulates excess ammonia from protein metabolism, which interferes with glycogen production, disrupting energy output. Although Anti-Fatigue Caps is designed primarily for ammonia reduction in long distance events, many of the nutrients in the formula are excellent for helping counteract everyday fatigue, even chronic fatigue symptoms. 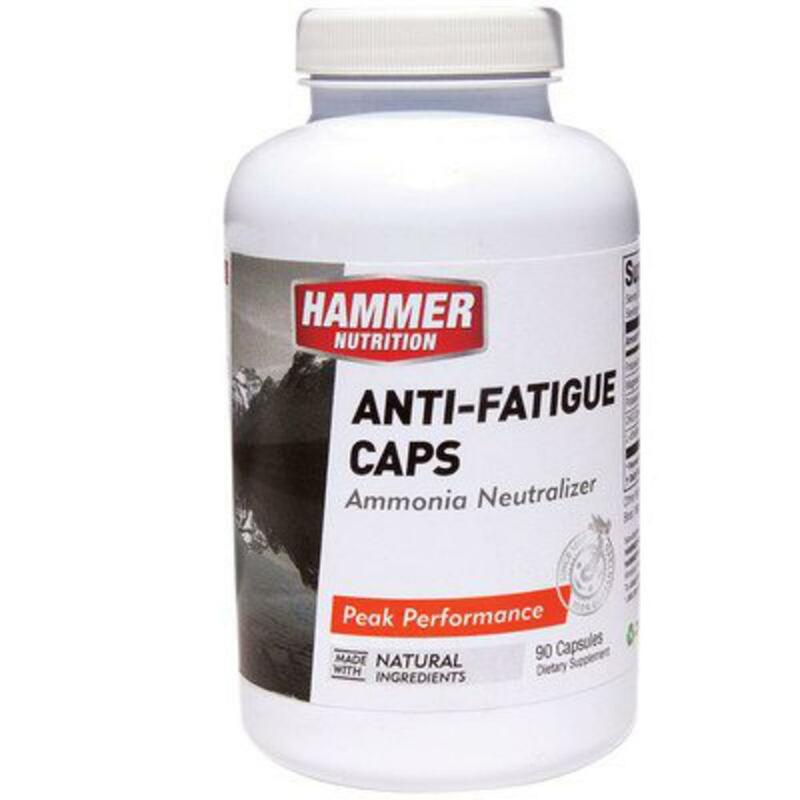 Anti-Fatigue Caps is a one-of-a-kind product combining three well-known ammonia-scavenging nutrients. Clean up the waste products of combustion, or you'll pay the price. To stay strong in multi-hour events, you need Anti-Fatigue Caps. 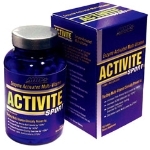 More potent aspartate compound, yielding higher amounts of potassium and magnesium. 10 mg per capsule of EES? (blend of protease and phytase enzymes) for greater absorption and assimilation. Potassium/Magnesium Aspartate - A well-known nutritionist says it best regarding aspartic acid, "Because aspartic acid increases stamina, it is good for fatigue and plays a vital role in metabolism. It is good for athletes and helps to protect the liver by aiding in the removal of excess ammonia." Studies (Agersborg and Shaw 1962, Hicks 1964, Gaby 1982) have shown that this combination provides substantial benefits in the prevention of fatigue. Aspartic acid also combines with other amino acids to form molecules that absorb toxins and remove them from the bloodstream, aids the function of RNA and DNA, and helps to protect the liver. Additionally, the potassium/magnesium aspartate compound increases production of a key substrate, oxaloacetate, which is involved in energy production. L-Citrulline - Citrulline is an amino acid that is found plant foods such as onions and garlic. Citrulline detoxifies ammonia and, like aspartic acid, is used in the treatment of fatigue. It promotes energy and stimulates the immune system. OKG - Both ornithine and alpha-ketoglutarate (OKG) provide a readily available, non ammonia-producing source of glutamine in the body. Glutamine is depleted at high rates during exercise but cannot be replaced with regular glutamine as it creates excess ammonia on its own. OKG increases the amount of glutamine in the muscle and also helps prevent muscle catabolism. Another well-known nutritionist writes, "Both ornithine and alpha-ketoglutarate act in the body as an ammonia scavenger." 2-4 capsules one hour prior to training. This would provide an initial dose of 500-1000 mg magnesium/potassium aspartate, 200-400 mg citrulline, and 280-560 mg OKG, an excellent dose at the onset of an endurance workout or race. Potassium Magnesium Aspartate 250 mg.
OKG (Ornithine alpha Ketoglutarate) 140 mg. Enzyme Enhancement SystemTM (A proprietary blend of protease and phytase) 10 mg. I recently received the Anti-Fatigue Caps for an added energy boost. I take one in the morning before work to help kick start the day, and control my fatigue. I recommend them to anyone that is struggling with daily fatigue as I am.